Afghanistan is the world's biggest opium producer and it is estimated about a third of the drugs produced there go to Russia and Europe via Tajikistan. Tajikistan is the poorest country in Central Asia and the rewards that come with trafficking the drugs are hard to resist for its people struggling to make a living along its long and open border with Afghanistan. 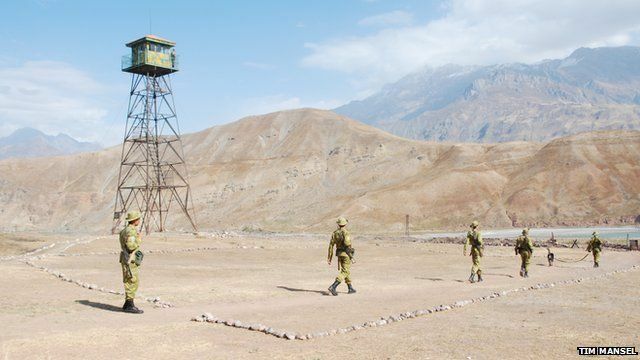 With Nato troops preparing to withdraw from Afghanistan by the end of 2014 there are fears Tajikistan may become even more vulnerable to the trade. The BBC's Rustam Qobil travelled to one Tajik village on the border between the two countries where drug dealers try to recruit couriers for their trade. Listen to the full report on Thursday, 17 January on Assignment on the BBC World Service.